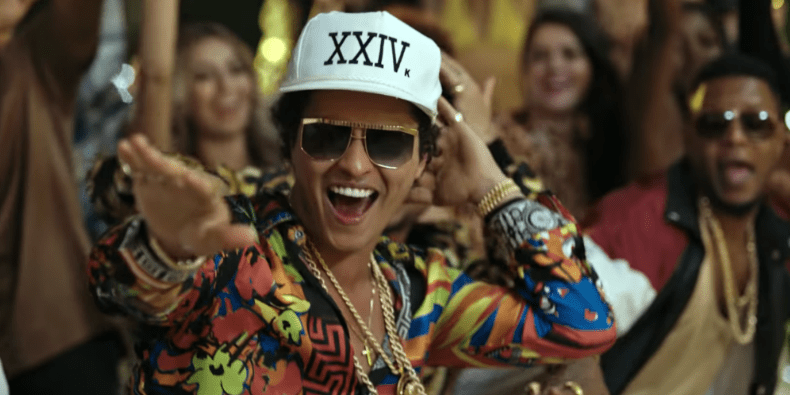 Earlier this year, Bruno Mars gave an interview in which he essentially stated that he was unable to stop listening to his own music because of how good it was. With the release of 24k Magic, I now understand exactly what he was talking about. I almost didn’t need to give this one a re-listen before writing: I’ve already listened to these songs enough times to know their every nuance. Mars’ extended lapse between the release of his last album, 2012’s Unorthodox Jukebox, was alleviated in part by his casually jumping onto one of the most successful songs of all-time, Mark Ronson’s “Uptown Funk!”, where he established the new, boisterous and extravagant persona which would carry over to his own work. 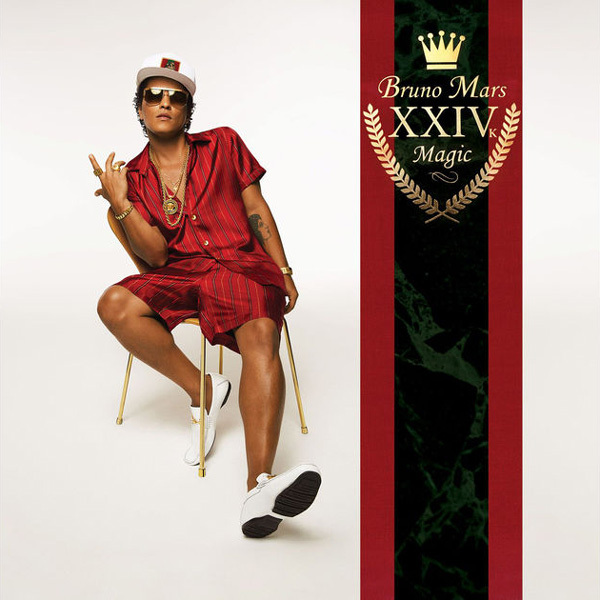 24k Magic is the perfect exercise in “less is more”: it stands at a very brief 9 tracks, but each of them is packed to the brim with the sound of an artist relishing in the fact that he is at the top of his game — and he fully knows it. While it certainly piggybacks off of formulas associated with the popular sounds of 80s and 90s funk and R&B, not making altogether much of an artistic statement, Mars is so many miles ahead of his contemporaries in his field at consistently creating quality, fun music that the project easily stands out as his best work, and one of the year’s best listening experiences. As soon as he issued a triumphant “Pop pop, it’s showtime!” we all knew that Mars was ready to unleash a full blown assault on the music industry. Anyone who has heard one of Mars’ songs before knows that his vocals are obviously at the top of the game, but what we have known since “Uptown Funk!” dropped is that Mars has so much charisma that he doesn’t even need to use them. Single “24k Magic” and “Perm” follow in these footsteps, Mars proving he’s the coolest guy on the planet over some James Brown-esque instrumentals while barely singing a note. Even though the sound of the album is so uniform, he gives us so many different aspects of what we love him for – anyone concerned his passionate ballads were a thing of the past in the wake of the singles were reassured with the presence of songs like “Versace On The Floor” and “Too Good To Say Goodbye”, Mars displaying his impressive vocal range over the soundtrack of a 90s slow dance. Despite his range of talents, Mars’ voice at its full potential remains the most impressive part of his work, and these songs truly stand out for this reason. The passion in his voice as he hits the highest notes of closing track “Goodbye” make the breakup ode especially heartbreaking. The other side of the project is just Mars enjoying the luxuries of his life and having fun – and the sound of these jubilant tracks immediately put a smile on your face. You can tell how much Mars loves what he does, especially now that he has reached a level of success to stop catering to pop radio and make the music he truly wants to make. He’s clearly meant for this style rather than the pure pop tracks which established his stardom like “Just The Way You Are”. I could sing the praises of 24k Magic long past the length of a standard review, the music is layered and complex enough to continue finding great things about it on every repeated listen. The bottom line is this — it’s as if Mars has finally realized just how great he is, and our ears are all truly thankful for this.